As 2017 comes to an end, SHP asks Honeywell for its industry predictions for next year. In the era of Industry 4.0, RFID and Bluetooth®-enabled PPE and gas detectors can already connect to smartphones to become smart, edge devices able to collect and transmit data. In future, by using retrofitted wireless data transfer technology, like Near Field Communication (NFC), everything from eyewear to hardhats could become connected, while further innovations in wearable sensors could make it possible to monitor any parameter that affects a worker’s health – from noise to radiation. A connected approach could also help encourage the uptake and correct use of PPE among millennials, who are expected to make up 50 percent of the global working population by 2020 . By equipping itself with the kind of technology that meets the expectations of this generation of digital-natives, the safety industry will put itself in the best position to protect their health in the long term. Intelligent harnesses and smart footwear, for example, would enable safety managers to continuously monitor a worker’s posture and prevent musculoskeletal disorders later in life, while app-based approaches to hearing protection could help prevent noise induced hearing loss (NIHL) by monitoring sound exposure in real time. At the other end of the spectrum, smart PPE that can address the needs of the ageing workforce will be of increasing importance. Statistics show that occupational fatalities are more likely to occur among older workers  with many of these fatalities due to lack of appropriate preventative measures and effective rescue procedures. However, armed with intelligent health and safety data, it is already possible for a safety manager to, for example, immediately alert a worker operating in a confined space to step out of a dangerous situation, or send immediate rescue if a man-down alert is received. Further developments in smart PPE and software – and particularly the design of interfaces that are simple and intuitive to use, such as app-based and touch-screen environments – will be critical to encouraging both younger and older workers to embrace connected safety technology. In future, it is distinctly possible that voice recognition and artificial intelligence will be incorporated into this mix, and ‘touch’ may even become unnecessary, with display screen equipment becoming a pure visualisation tool. 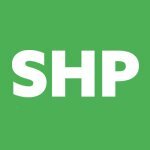 2018 predictions: Smarter PPE will better protect all workers As 2017 comes to an end, SHP asks Honeywell for its industry predictions for next year. More thought should be going into removing any hazards, rather relying on “Smart” PPE to protect workers.